Bishop Cynthia Fierro Harvey joined a Louisiana Volunteers in Mission team from McNeese School of Nursing Aug. 2-4 serving the ministries of Manos Juntas along Mexico’s border. Led by Rev. 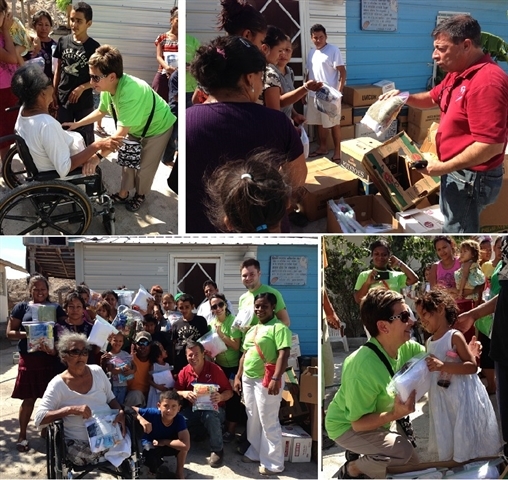 Angela Bulhof, the team provided medical clinics and helped with socio-economic and medical surveys of area residents. Bishop Harvey worked alongside the team, conducting personal interviews with families of the Vamos Tamaulipas Community, where Manos Juntas’ community-based program is currently underway. Find out more about Manos Juntas at https://www.facebook.com/manosjuntas. Watch video of Rev. Angela Bulhof and volunteers at Manos Juntas here.